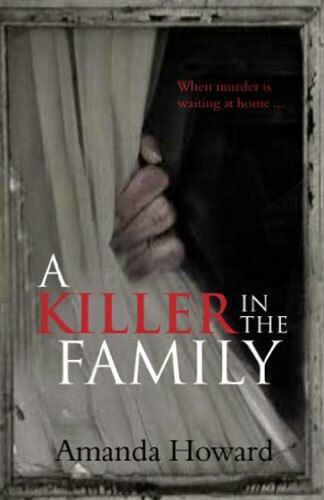 A Killer in the Family explores the darkest depths of the human psyche to tell the stories of the world’s most depraved killers – and their families. In these incredible accounts of violence, psychosis and love gone wrong, writer Amanda Howard raises the frightening question of whether a monster is born or made. In these gripping investigations, the twisted minds of notorious murderers are revealed, including Ted Bundy, a serial murderer of women, whose home life was a source of pain; the Menendez brothers, who killed their parents in order to claim an inheritance; and Melinda Loveless, an abused teenager, who callously murdered a 12-year-old girl. These killers’ pasts were often full of trauma, which contributed to their love of violence. While some killed their own parents, partners or children, others worked together with their relatives to commit terrible crimes. In many cases, family members were left bewildered and devastated that their loved ones could be capable of such atrocities. A Killer in the Family gives a disturbing, fascinating insight into the minds of murderers, and the families in which they were raised. Reading crime fiction offers the reader’s psyche the option of disbelief in the premise, or the story line, or the character. The death isn’t real, the method isn’t fact, the killer isn’t really out there. Reading true crime isn’t so generous to the reader’s psyche. You are confronted with the actualities of the killings that take place, the knowledge that the killer was really out there, and in the case of this book, the realities of what may contribute to the making of a killer. Amanda Howard has amassed a wealth of experience interviewing serial criminals. She is trained in psychology and criminology. And she does a masterful job of researching and condensing the family backgrounds of 21 criminal cases, mostly serial killers, in one of her latest true crime compilations. Each chapter is devoted to a criminal case, with some similar cases following each other, be it similarities in family background, similarities in modus operandi, or similarities in the delusional aspects of the killers’ minds. Using crimes committed in the 20th and 21st centuries, Amanda globe trots from England, to the USA, Austria, Belgium, and Australia in search of identifying family traits that may point to a killer. As Amanda states, the recounting of these stories may give rise to further questions. Perhaps one question should be when does nature and nurture click in together to create that bad seed? How can some people overcome abuse, neglect or bullying without resorting to murder? And as Amanda also states, there is restitution for victims, and victims’ families, victim impact statements, but where does the killer’s family receive help and succour through the legal processes?